There is a fine line between science, applied science and technology in ESA activities. HISPAC (High-level Science Policy Advisory Committee) was set up to think about interdisciplinary science and technology without considering financial or political restraints. The HISPAC team is made up of star scientists. ESA reorganised the structure of its science advisory. 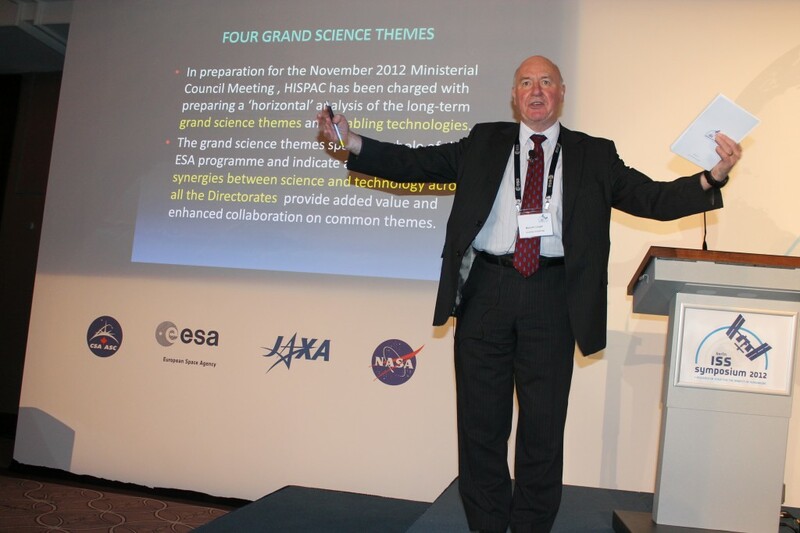 In preparation for the ESA ministerial council meeting HISPAC was asked to prepare long-term grand science themes across all ESA programmes. 1. Cosmic climate: Earth observation and studying exo-planets. 4. Cosmic magnetism and high energy particles in space. We need to look at space research horizontally across broad scientific themes. This entry was posted in Downloads, Notes, Physics, Science, Speakers, Video and tagged ESA, future, HISPAC, science. Bookmark the permalink.